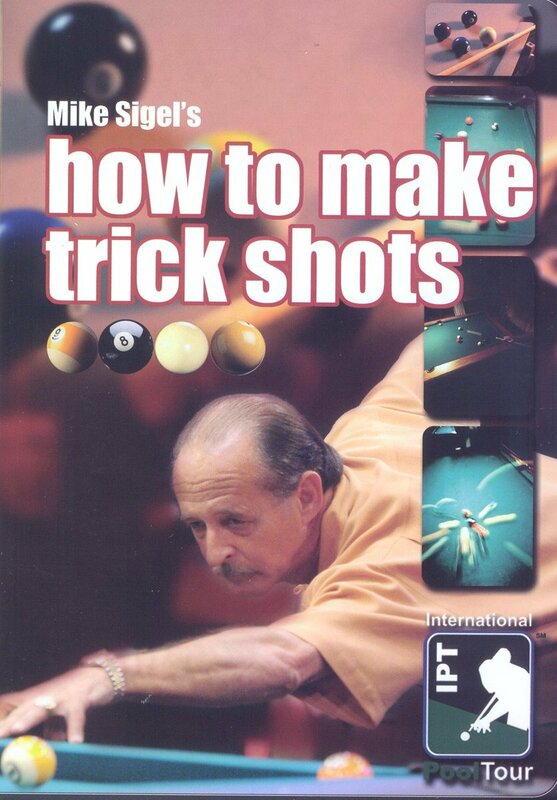 10-time world champion Mike Sigel, voted the world's greatest living pool player, teaches you the secrets of making trick shots in this one-of-a-kind instructional DVD! Amaze your friends and astound your opponents with these easy-to-learn shots! 2005 IPT World 8-Ball Championship Sigel covers all the fundamentals, tips and techniques that you'll need to become a master trick shot artist. The tricks you'll learn from this DVD are guaranteed to amaze and impress - and to improve your game. The DVD features Sigel's favorite trick shots, original creations & secrets - many of which have never been revealed before! Mike Sigel's How to Make Trick Shots, is the ultimate instructional DVD - from the world's ultimate pool champion! It's a must for players of all levels who want to be great trick shots artists! Mike Sigel has won over 102 major pool tournaments, including three US Open Nine-ball Championship tournaments and five world pocket billiard championship titles. Sigel was named Player of the Year three times by Billiards Digest and Pool and Billiards, pool industry trade magazines, and in 1989, at the age of 35, he was the youngest ever to be inducted into the Billiard Congress of America Hall of Fame.